When you want your hair to look its best, a trip to the hair salon is in order. And not just any salon will do! You want to give your luscious locks the treatment they deserve, and having the right hair care team on your side can make it happen. Take a trip to one of these 10 best hair salons in Mississippi and unleash your hair’s potential. This charming little hair boutique is as personal as it gets. From color processing to unique cuts to the top names and hair care products, you can get it all here. Their customers love how well they communicate and their ability to deliver a phenomenal final look. No matter what you need to look your best, this salon and spa has it all. This is a one-stop shop where you can take care of hair needs, facials, nails, waxing, massages, and more. They also offer a variety of rewards and coupons to ensure your services are budget-friendly. Whether you want a simple cut or a whole new style, this place is for you. They specialize in everyday looks and bridal services, including hair, nails, makeup, spray tanning, and more. It's easy to become the envy of your friends after your appointment here. This unique beauty boutique has a lot going for it and you'll want to experience it all. Step through the bright purple doors into a beautiful day spa and salon, where you'll find a cozy shopping area, hair salon, massage rooms, and a complimentary coffee bar. Every minute you spend here feels just like a vacation. Who knew that hair care could be so innovative? High Maintenance Salon is a hassle-free experience, offering you a chance to sit back, relax, and enjoy the hair refresh you deserve. They offer a variety of hair color services, cuts, finishes, and other specialty services for a truly unique experience. Noggins Organic Salon is completely committed to your hair's health. They work directly with clients to recommend the best hair care products for using outside of the salon, in addition to sourcing the best treatment options during your visit. You can even save a phone call and request your appointment online. This place has an advanced team of hair care experts that will make your hair look better than you thought possible. In addition to standard salons services, they also offer hair services for weddings and other special events. Customers can request appointments online, and new customers can score a special first-timer’s discount. 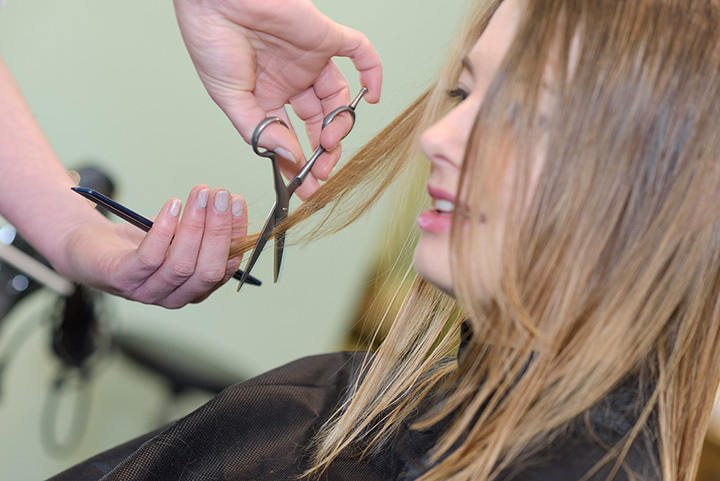 At the single Mississippi location of this Tennessee-based hair salon, you can expect nothing but high-end hair treatments from top-notch professionals. From cuts and colors to barber services, the experience here is nothing short of relaxing. You can request your appointment online to save yourself some time. From everyday hair care to special occasions, you can have it all here. Fans love that they can easily get an appointment and aren't kept waiting long when they arrive. Their experts also excel at recommending the best products for your unique hair type that can help you continue your hair goals long after you leave the salon chair. Warm and welcoming, you'll feel right at home at this cozy little salon. Many of their customers have been coming here for years, and that says a lot about the quality of work they do. The stylists here are super talented, helping you achieve whatever cut, color, or texture you're going for.